When it comes to household flowers, plants and gardens, there are many beneficial uses for colloidal silver. In the story below, you’ll learn how one nice lady saved her ailing, fungal-infested geranium plants simply by misting and watering them with some colloidal silver. “I have a beautiful geranium plant that got sick. It leaves drooped & started turning yellow. I did a research on line & it looked as if it had acquired a fungus from the symptoms. Instead of buying an expensive product for the fungus that I am pretty sure was chemicals I misted the plant with straight colloidal silver & then watered it with 1 cup of water & about 4 tablespoons of colloidal silver. I did not mist it again but the next day I watered it again with 3-4 tablespoons of colloidal silver & that was 2 days ago & my plant is all back to normal, all nice & green no wilt. I figured if colloidal silver is good for people it should be good for plants also. Quite happy to see my plant so pretty again and all well. Of course, we’ve known for years that colloidal silver is beneficial to plants that have infections. For example, my wife Kathy has used colloidal silver to stop tomato blight (i.e., tomato fungus) on her tomato plants, many times. And she’s used colloidal silver to get rid of aphids on her roses. Kathy even uses colloidal silver in her garden, and won a First Place blue ribbon award at the local fair for some of her home grown zucchini. If you’d like to learn more about colloidal silver and its remarkable ability to quite literally decimate infectious microorganisms – even drug-resistant pathogens – then consider taking a few moments to explore The Silver Edge website, which is the world’s largest online repository of factual information about colloidal silver. If you’d like to learn more about the astonishing, infection-fighting qualities of colloidal silver, see over 100 articles at this link. If you’d like to learn how hundreds of experienced colloidal silver users have cured their own infections and diseases with colloidal silver, see this link. If you’d like to learn how incredibly easy it is to make your own high-quality colloidal silver for less than 36 cents a quart, and see how it compares to conventional colloidal silver generators, see this link. If you’d like to learn why the Micro-Particle Colloidal Silver Generator is the world’s #1 best-selling colloidal silver generator, see this link. Finally, if you’d like to save a whopping $100 on a brand new Micro-Particle Colloidal Silver Generator, so you can make your own high-quality colloidal silver for less than 36 cents a quart and avoid those high mark-ups in health food stores, see this link. Meanwhile, I’ll be back next week with another insightful article on colloidal silver…. Copyright 2017 | Life & Health Research Group, LLC | PO Box 1239 | Peoria AZ 85380-1239 | All rights reserved. Can colloidal silver help the body heal from viral infections that cause conditions such as Bell’s Palsy in which facial paralysis and disfiguration is a key symptom? A growing body of experiential evidence says it can. And in the short article below, I’ve documented some of those experiences for you. I’ve also documented the fact that numerous clinical studies now demonstrate colloidal silver’s surprising anti-viral qualities. Years ago an 80-some year old gentleman contacted me by phone, and told me he’d experienced amazing results using colloidal silver for a nasty case of Bell’s Palsy. He said the left side of his face had been “frozen” in a strange, drooping, lop-sided position from the palsy, and that his “worthless doctor” told him there was nothing he could do about it, and that there was no cure. He then explained that he’d begun taking a single tablespoon of 10 ppm colloidal silver several times per day, and within only a few days time the left side of his face returned to normal. He no longer had the strange, lop-sided look, with one side of his face normal and the other side drooped. The old gent called his doctor a few more choice names before enthusiastically thanking me for listening to his story and for helping introduce him to colloidal silver usage through my articles. "I wanted you to know that since starting (again) on the colloidal silver last week, I am feeling and looking better already! I called you last week and we spoke about my bout with Bell’s Palsy a year ago next month; I have had some “left over” symptoms, including a swollen right eye; pain in the right nostril, headaches, ear pain, etc., etc. ; have taken and done all I could think of and now, FINALLY, am getting somewhere with the colloidal silver!!!! So there are two different anecdotal accounts, one attesting to a complete cure from the effects of Bell’s Palsy, and the other attesting to a significant reduction of Bell’s Palsy symptoms that had been lingering for nearly a year. Scientists think that a viral infection makes the facial nerve swell or become inflamed. Some people recover from these symptoms within two to three months. Others never recover. And still others experience partial recover from symptoms. “I had it [i.e., Bell’s Palsy] for 35 years with an approx recovery of 2% per year. Got it when I was 9. I started using Colloidal Silver 2 1/2 weeks ago and I am now at about a 95% recovery. I discovered it accidentally as I have been spraying it on my neck for a cyst problem (which it also has cleared up) after 2 days my eye started to twitch and it was really p***ing me off and I was googling to find cures for eye twitching but couldn't find anything. After 4 days, my eye was still twitching but I noticed that my vision was different (due to my eye being more open) and my smile felt weird, after scrutiny in the mirror I realized that the colloidal silver was curing my Bell’s Palsy; I googled this and found that other people had used the same treatment and also achieved a full recovery from their Bell's Palsy. I am now responding to as many blog's that I can find about this 'cos it works and I want to help anybody that I can with this condition as it does not make for a healthy life with people either telling you to "smile" all of the time or when you do smile people asking "what is wrong with your face?" Ugh. Anyway, I haven't been able to stop smiling for the last week and I am getting my dimples back that I used to get so many comments on when I was young... better late than never! Naturally, colloidal silver will not kill every virus in the world, just as it can't kill every germ in the world. But it has surprising broad-spectrum effects against viruses, bacteria and pathogenic fungi as well, all of which have been documented clinically. 10 Million Colloidal Silver Users Can’t Be Wrong! An estimated ten million people across North America now use colloidal silver regularly, thanks to its powerful infection-fighting qualities. Colloidal silver is available at any well-stocked health food store in America, at a cost of about $20 to $30 for a tiny four-ounce bottle. But why pay that much for such a tiny amount, which probably won’t last a week during a protracted health crisis? After all, you can make a full QUART of colloidal silver at a time – over and over and over again for the rest of your life -- for less than thirty six cents with a brand new Micro-Particle Home Colloidal Silver Generator from TheSilver Edge? The choice is up to you: $20-some dollars for a tiny, four-ounce bottle of the store-bought stuff. Or under 36 cents for a quart when you make it yourself. Owning the Means of Colloidal Silver Production Puts You In the Driver’s Seat For the Rest of Your Life! As I’ve emphasized over and over again for the past ten years, once you own the means of colloidal silver production, you can make it for the rest of your life for just pennies. And the quality is even higher than the store-bought stuff. 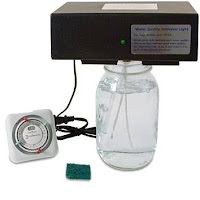 All you need is a Micro-Particle Colloidal Silver Generator from The Silver Edge. …drink a few ounces daily to resolve intestinal infections or cure food poisoning... knock out upper respiratory infections such as colds and the flu...eliminate urinary tract infections...beat Candida yeast infections with ease...and much more! Cutting edge doctors have demonstrated that when used internally, colloidal silver even works on deep-seated infections that, left untreated, can otherwise result in chronic degenerative diseases such as rheumatoid arthritis, Multiple Sclerosis, Lupus, Parkinson’s disease, cancer, chronic fatigue, fibromyalgia and other serious conditions! Save $100 By Acting Today! Best yet, by acting within the next 10 days you’ll save a whopping $100 off the usual $349.95 cost of a new Micro-Particle Colloidal Silver Generator. Yes, instead of paying the usual $349.95, you pay only $249.95 during this special get-acquainted offer. This means your new Micro-Particle Colloidal Silver Generator will completely pay for itself the very first time you use it, when compared with store-bought colloidal silver. You see, as I mentioned above, a typical 4-ounce bottle of high-quality store-bought colloidal silver costs about $30. So a full quart (i.e., 32 ounces) would cost you about $240 in health food stores! By purchasing a brand new Micro-Particle Colloidal Silver Generator from The Silver Edge at the special $100 savings price of only $249.95, your very first one-quart batch will pay for the entire unit. After that, you’ll be able to make high-quality micro-particle colloidal silver for less than 36 cents a quart -- which is about as close as you’ll ever come to having FREE colloidal silver for the rest of your life! A 16-page Micro-Particle Colloidal Silver Generator Operating Instructions Guide with lots of handy hints and tips for making, storing and using your high-quality homemade micro-particle colloidal silver! A full-color "how to" Operating Instructions DVD, demonstrating the four simple steps to setting up your new Micro-Particle Colloidal Silver Generator and making your very first one-quart batch! An 8-page "Most Frequently Asked Questions & Answers About Making and Using Colloidal Silver Guide," which gives you a quick overview of the questions most frequently asked by our customers, and the easy answers you need to understand most. It's all designed to have you making and using high-quality micro-particle colloidal silver like a pro, the very first day you get your new Micro-Particle Colloidal Silver Generator! By the way, making micro-particle colloidal silver with a new Micro-Particle Colloidal Silver Generator is a cinch. If you can use an electric coffer maker, you can use one of these incredible generators. They're literally so easy to operate, we have 85 year old grandmas using them! And unlike many of the ordinary colloidal silver generators we've seen, the new Micro-Particle Colloidal Silver Generator has been designed to last for a LIFETIME. It's so sturdily constructed, you'll literally end up willing it to your children someday, if you don't buy them one first! 1-888-528-0559 (M-F, during regular working hours, AZ time). You can also order over the internet at www.TheSilverEdge.com. But remember, this special offer lasts only for the next 10 days. So please act quickly and decisively while this special, time-limited money-saving offer is still available! It’s a decision you’ll never regret, I promise. And The Silver Edge backs it up with a full, 100% money-back guarantee of complete satisfaction that allows you to use the new Micro-Particle Colloidal Silver Generator as much as you want for a full 30 days to make sure it’s everything I’ve said it is, and then some! And if for any reason you’re dissatisfied within those 30 days (don’t worry, you won’t be), you get your money back, no questions asked! So please act now while there’s still time left to save $100 off the regular cost of the new Micro-Particle Colloidal Silver Generator. Bladder infections and UTIs (i.e., urinary tract infections) can be stubborn and painful, and can often require prescription antibiotic drugs to cure. Thankfully, there are a number of natural health products that can also aid the body in healing stubborn UTIs or bladder infections, and colloidal silver is one of them. A lot of people have reported good results using colloidal silver to help the body defeat stubborn urinary tract infections (UTI). Here are a couple of examples from the Testimonials page of The Silver Edge website. “My elderly mother has struggled with urinary tract infections for years and has had to take antibiotics over and over, but still it came right back. She drank a quart of colloidal silver water over a couple of week’s time. My comment: If she drank a quart of colloidal silver over a two week period, that would be a little more than two ounces per day to heal the UTI. That’s a pretty small amount of colloidal silver to heal a UTI. "Here's my experience with colloidal silver ...About 2 years ago, I discovered I had a urinary tract infection. I hadn't had one since college (and I'm now 50). I used to get them almost every semester in college, so I am VERY familiar with the symptoms, the infection's progression, and how long it takes to get relief from the pain and urgency. Since I do everything I can to avoid antibiotics, I drank an 8-oz glass of colloidal silver twice a day for two weeks. With antibiotics, the infection is generally gone in about a week. With the silver, it took two weeks, but the infection did indeed go away WITHOUT the use of antibiotics." “I wanted to let you know, that when my father was still living, he was getting quite a few urinary infections and the doctors just kept on giving him more antibiotics that were not working. Well, my mother, an amazing woman, and took it upon herself to treat my father and his urinary infection with colloidal silver. She started giving him 1 oz. a day with his breakfast and would spray the catheter after giving him a shower and wouldn't you know it, his urinary infections went away and he felt much better not having to go through the pain of that awful infection. As you can see, those are quite different successful experiences in which people used colloidal silver to heal urinary tract infections. But they used significantly different dosage levels. Again, that's because everybody is biologically different. There's no way to say, "This dosage will be perfect for you," just because it might have been perfect for someone else. I wish it were different. But I have to tell you the truth. "I have had two urinary tract infections in 16 years. Both times I took eight ounces per day of my homemade colloidal silver, for about five days, and the infections disappeared." “I had been trying for about a week to cure a Urinary Tract Infection (UTI) on my own with lots of cranberry juice and water. The morning that I woke up with severe back pain I decided it was time to go to the doctor. I went to see Dr. Shiva in San Antonio where he did a urinalysis and said that I didn’t have any infection. He then had me do various range of motion exercises to determine my back injury which had my back screaming in pain. He took X-rays and said that I had muscle spasms in my back. He gave me a pain shot and prescriptions for muscle relaxers and pain pills. $198.00 later I was at home drugged up and in severe pain. This was on a Friday. On Monday, still in pain, still experiencing worsening UTI symptoms, I went to see Dr. Harry Hernandez in San Antonio. He tested me and found a severe UTI. He gave me the generic drug which he said worked about 75% of the time and was about $100.00 cheaper. He told me to come back in 10 days and he would retest me, free of charge. I went back 10 days later and still had traces of infection. He gave me 4 pills of the name brand drug, but I still had to buy 4 more, through a prescription, they were $10.00 each, but he said that this one would knock it out for sure. Relieved that I didn’t have to worry about that anymore, me and my husband took off to Mississippi to visit relatives. About four days into our trip I was horrified to start feeling the symptoms reappear. “I had a bottle of Colloidal Silver that my sister had given me which I had been using as a topical agent only, as I had been leery of taking it orally. But at this point I was getting desperate. I took one capful and another capful that night. The next morning I didn’t notice any more symptoms. “I had a TERRIBLE bladder infection. Fever, and lots of pain. I took 4 ounces of silver, and again 2 hours later, another 4 ounces. Within 3 hours I was 50% better, and by morning I was 100% normal. “In 1993 my husband had cancer of the urinary bladder and prostrate. The surgeons who performed the surgery to remove the cancer made an internal artificial bladder from the ascending colon with a valve and an opening to the bladder on the right side of his abdomen. This internal artificial bladder is called an Indiana Pouch. It has to be catheterized every 4-6 hours to empty it. For the past 16 years there have been continuous infections in the Indiana Pouch with my husband needing to take antibiotics for each infection. Maybe a week to two weeks would be infection free. Every method of keeping the pouch clear of bacteria, etc. has been tried. The bug in the pouch was E. coli. At times my husband was hospitalized with such severe infections needing to be given antibiotics in his veins. After so many antibiotics the bacteria had become resistant to almost all available drugs. Colloidal Silver to the rescue! My husband takes 1 tablespoon of 10 ppm twice a day by mouth. I instill 2 ounces of colloidal silver into the pouch in the morning and at bedtime. Thus the cure of the Indiana Pouch infections. This process has been used for months thereby eliminating the need for antibiotics. We could never afford to buy the amount of colloidal silver that is used daily to prevent infection of the pouch. Every three days I make two quarts of colloidal silver for my husband’s use. So you can see that people have had good results, but with decidedly different dosage regimens. That means colloidal silver users have to experiment a little with dosage to see what works best for them. The general idea is to start out with relatively small dosages to see if it helps the body overcome the infection. And increase the dosage if the smaller dosages does not work. Always keep in mind that experts emphasize if colloidal silver does not work for you fairly quickly (i.e., within a week or two, see above testimonials), or if you have to keep drinking large amounts (i.e., over an ounce a day) in order to keep any kind of ongoing infection at bay, that is a sign that colloidal silver is not the right supplement to aid your body in defeating that particular infection. Ingesting large amounts of colloidal silver on a regular daily basis, over long periods of time (months, or years), can, and ultimately will result in argyric skin-staining. That’s because, while the human body can quite easily absorb, utilize and excrete relatively small daily amounts of colloidal silver, or even occasional larger amounts, it is not designed to handle large amounts taken daily for long periods of time, such as months or years on end. Indeed, if colloidal silver usage becomes abusive, sooner or later the body’s system of elimination for silver will become overwhelmed with the excessive quantities of silver, and will begin storing silver in the tissues. Eventually, if the overly-large daily amounts of silver are continually ingested, that silver will be pushed out to the skin, where upon exposure to sunlight it will essentially tarnish, “tattooing” the skin a grayish blue color (i.e., argyric skin-staining). As an aside, I have an adult family member (female) who tends to get one or two urinary tract infections a year. Several times she’s tried following the colloidal silver protocols, taking up to eight ounces of colloidal silver per day, for a maximum of three or four days in a row, but to no avail. It simply didn't work for her at all, though is seems to work for most UTI sufferers, based on hundreds of testimonials I’ve seen over the past 20 years since I first began researching and writing about colloidal silver. Why doesn’t it work for her? I don't know. Maybe her urinary tract is being infected with a silver-resistant pathogen. It's hard to say why colloidal silver works for so many people for an issue like a UTI or a bladder infection, and then for some reason it doesn't work at all for someone else. At any rate, my female family member uses a powerful natural antimicrobial product called Nutribiotics GSE. The “GSE stands for grapefruit seed extract. That’s not the same as “grape seed extract,” which is a totally different substance. This is an extract from grapefruit seeds, and not from grapes. Anyway, Nutribiotics GSE works wonders for her UTIs. She uses the liquid form (the same product also comes in capsules, but they don't work as well as the liquid for her) and she simply puts 20 drops of the Nutribiotics GSE into an 8 ounce glass of cranberry juice. Works every time for her. And I've heard from other ladies who tell me they experience very quick results when they use Nutribiotics GSE and D-Mannose powder together, putting 20 drops of Nutribiotics GSE into a glassful of grapefruit juice or cranberry juice, then adding a heaping tablespoonful of D-Mannose powder and stirring it up before drinking it, up to twice a day for up to five or six days if necessary. The bottom line, as I mentioned earlier, is that everyone's body is different. It’s called biological individuality. UTIs can be stubborn, and can be caused by a number of different pathogens, some of which may be very sensitive to silver, and others (especially a small handful of subspecies) may be silver-resistant. For example, while many UTIs are caused by the E. coli pathogen, medical science knows that different strains of E. coli can have different levels of sensitivity to silver. In general, silver-resistance is very rare, and silver helps the body knock out UTIs and bladder infections in record time. But as we’ve seen above, it doesn’t always work for everybody. So those are some options I've heard about. Please keep in mind that nothing I’ve said here should be taken as "prescriptive" in nature. I'm not a doctor. I’m just a reporter. And always remember that when there's very stubborn health issue, sometimes a good local naturopathic doctor (i.e., a natural health doctor) can work wonders, as they've seen just about everything and pretty much know what works and what won't for stubborn conditions. And while anyone in their right mind would prefer to help their body heal infections and other health issues naturally, sometimes there’s just no choice but to go to the doctor and do what he tells you. I love natural healing, which to me means helping the body heal itself through nutritional means. But I refuse to be an alternative medicine martyr. If my natural health arsenal fails me, I go to the doctor. I suggest you do the same. Whether you use colloidal silver to help your body get rid of an existing UTI or bladder infection naturally, or as a daily prophylactic to help ward off colds, flu and other upper respiratory infections (learn more, here)…or for its many other healing and immune-boosting benefits (see here)…one thing you know for sure is that it’s quite expensive to buy it from health food stores. Indeed, in most major health food stores colloidal silver usually costs between $25 to $30 for a tiny, four-ounce bottle. But owning a new Micro-Particle Colloidal Silver Generator from The Silver Edge allows you to make your own superior-quality colloidal silver for less than 36 cents a quart. Yes, I said 36 cents per QUART. In fact, compared to health food store prices for colloidal silver, your very first one-quart batch of micro-particle colloidal silver virtually pays for the entire cost your new Micro-Particle Colloidal Silver Generator. You see, a full quart of colloidal silver consists of eight of those tiny four-ounce bottles you can buy at health food stores for around $30 a bottle. That means you’d have to pay up to $240 for a full quart of colloidal silver in a health food store. But you can spend about that same amount of money on a brand new Micro-Particle Colloidal Silver Generator from The Silver Edge – the world’s #1 best-selling colloidal silver generator -- and make quart after quart after quart of superior-quality colloidal silver for the rest of your life, for about 36 cents apiece! Do you know of any other product that pays for itself virtually the very first time you use it? It’s quite literally as close as you can come to enjoying free colloidal silver for the rest of your life, because you’re making it yourself for the same tiny cost the big colloidal silver manufacturers make it for before distributing it to health food stores where it’s marked up by a whopping 60,000%! Making your own high-quality colloidal silver this inexpensively allows you to use colloidal silver any time you need, or even give it away to family members, friends or loved ones who need it, without giving the cost a second thought. Makes It Up to 1,000x More Bio-Available! What’s more, the tiny, sub-microscopic silver particles produced by this amazing breakthrough in colloidal silver-making technology are as low as .8 nm in size. That’s a fraction of a single nanometer. This is critically important to understand, because even the FDA admits that the smaller the silver particles are, the more bio-available they are, meaning the body is better able to absorb them, utilize them, and afterwards safely excrete them. Plus, it’s now known that tiny silver micro-particles are able to kill off entire colonies of pathogens with far greater effectiveness than conventional-sized colloidal silver particles. That’s because of the “zombie effect” described in this recent article about brand new research out of Hebrew University in Jerusalem. As you’ll see, the effectiveness of ultra-small, sub-microscopic silver particles against colonies of disease-causing microbes is absolutely astonishing. The bottom line is that the tiny, submicroscopic silver particles produced by a new Micro-Particle Colloidal Silver Generator from The Silver Edge are up to 1,000 times more bio-available than conventional silver particles. Indeed, the human body is able to absorb 90-100% of the tiny silver micro-particles, sending them throughout the body to kill pathogens, and then excreting them with ease, afterwards, thanks to their small size. But the human body is only able to absorb and utilize as little as 20% to 40% of the silver particles found in many health food store brands of colloidal silver which contain silver particles as large as 200 nm to 1,000 nm or even larger. Clearly, making your own micro-particle colloidal silver is hands-down the smartest way to go. 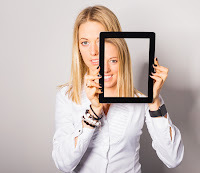 Perhaps that’s why so many thousands upon thousands of people absolutely rave over the effectiveness of the colloidal silver made with their Micro-Particle Colloidal Silver Generator, as you can see at this web page full of real-life colloidal silver success stories. Important Note and Disclaimer: The contents of this Ezine have not been evaluated by the Food and Drug Administration. Information conveyed herein is from sources deemed to be accurate and reliable, but no guarantee can be made in regards to the accuracy and reliability thereof. The author, Steve Barwick, is a natural health journalist with over 30 years of experience writing professionally about natural health topics. He is not a doctor. Therefore, nothing stated in thisEzine should be construed as prescriptive in nature, nor is any part of this Ezine meant to be considered a substitute for professional medical advice. Nothing reported herein is intended to diagnose, treat, cure or prevent any disease. The author is simply reporting in journalistic fashion what he has learned during the past 17 years of journalistic research into colloidal silver and its usage. Therefore, the information and data presented should be considered for informational purposes only, and approached with caution. Readers should verify for themselves, and to their own satisfaction, from other knowledgeable sources such as their doctor, the accuracy and reliability of all reports, ideas, conclusions, comments and opinions stated herein. All important health care decisions should be made under the guidance and direction of a legitimate, knowledgeable and experienced health care professional. Readers are solely responsible for their choices. The author and publisher disclaim responsibility and/or liability for any loss or hardship that may be incurred as a result of the use or application of any information included in this Ezine.